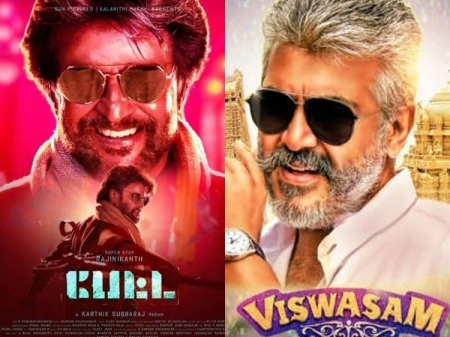 Just a day left for the release of Rajinikanth's Petta and Ajith's Viswasam, the State Minister for Information Kadambur Raju said no special permission for early morning shows have been given for the movies tomorrow as yet. Remember theatres have lined up 1 am and 4 am shows across the State for Viswasam and Petta. There were reports that theatres have been charging huge sum on tickets ( above what the State government has prescribed) for the two releases. He issued a stern warning to such theatre owners. Speaking to media, Kadambur Raju, said, 'If any theatre found selling ticket for a higher price, they would be find Rs 50000 initially. If they repeat the act, Rs one lakh fine will be imposed'. And still they continue to charge huge sum for tickets, their license will be cancelled, said the Minister. Interestingly, fans have taken tickets paying exorbitant rates at many theatres across theatres for Petta and Viswasam.